The UK government’s proposed EU withdrawal agreement suffered a crushing defeat in a vote in the House of Commons on Tuesday. The result was devastating for Prime Minister Theresa May because 432 parliamentarians rejected the deal and only 202 approved. It was the biggest defeat any government had ever suffered in the world’s oldest parliament. Opposition leader Jeremy Corbyn tabled a no-confidence vote for the next day. The PM won narrowly, with 325 votes to 306. May then announced that she would work with MPs from all parties to see what was acceptable to them and how the deal needed to be amended. This was too little, too late: Many Members of Parliament had been frustrated by how little May had reached out to them during the whole Brexit process. Dismay over the apparent lack of consultation had become the pet peeve of Shadow Brexit Secretary Sir Keir Starmer. The debate preceding the vote of no-confidence was personal, with the Tories attacking Corbyn and Labour’s Deputy Leader Tom Watson, who said May did not have the qualities essential to leading the country. Watson accused her of lacking political skills, empathy, ability and, most crucially, policy. Parliament has now spoken twice this week and the issue has still not moved on. The situation can be compared to a treadmill, where the monitors shows landscapes that give the runner the illusion of covering a lot of territory. Alas, at the end of the workout, the runner is exhausted without having moved an inch. The country is exhausted and the Brexit conundrum is no closer to a resolution. The fundamental problem is that Brexit does not just split the country, but also the two biggest political parties, right down the middle. If May yields to the Conservative remainers and opts for a closer alliance with the EU, she will lose Brexiteers like the members of the European Research Group. If she steers the ship toward a harder Brexit, she will lose the remainers. In other words, any resolution of the problem may well damage the party irrevocably. Labour is deeply divided too: While the rank-and-file party membership may lean toward the remain camp, a large number of the voters it represents, especially in the North, are ardent Brexiteers. This is why Corbyn has so far only criticized the government without really presenting solutions of his own. The country is exhausted and the Brexit conundrum is no closer to a resolution. While all this was going on, the date the UK is scheduled to leave the EU — March 29 — inched ever closer. Brussels is looking at what is happening in Westminster with bewilderment. EU chief Brexit negotiator Michel Barnier and European Commission President Jean-Claude Juncker both said they could look at pushing back the exit date by extending Article 50 (by four months seems to be the consensus), but they need to know what the UK wants. In other words, we are exactly where we were in October, when Dalia Grybauskaite, the President of Lithuania, quipped that she wanted to know what mandate May had to negotiate. Donald Tusk, President of the European Council, hinted that the UK should stay in the EU when he tweeted: “If a deal is impossible, and no-one wants no deal, then who will finally have the courage to say what the only positive solution is?” That may work from his perspective, but the UK is a democracy and there was a plebiscite. It is unclear where the country is headed. An extension of Article 50 might be an option, but to what effect if the politicians keep on going in circles? It would also need the approval of the EU. The only two options that don’t need EU approval are crashing out without an agreement, which would be devastating to the economy, or canceling Article 50 altogether, which would disrespect the will of the people. Momentum seems to be gathering behind a second referendum. The polls do not show a significant shift in public opinion, so the outcome might be just as close as it was the first time around. The other issue would be what to put on the ballot paper. There are potentially two options: In or out; and in, out with a deal or out without a deal. Option two would, in all likelihood, not produce a conclusive result. The debate in the UK has been centered too much around particular and partisan interests, and not enough on economic consequences. Politicians also seem oblivious to the fact that, in a negotiation, one needs to engage with the opposite party, in this case the EU. The latter is frustrated by Westminster’s machinations and is waiting for a clear position from the UK government in order to engage further. 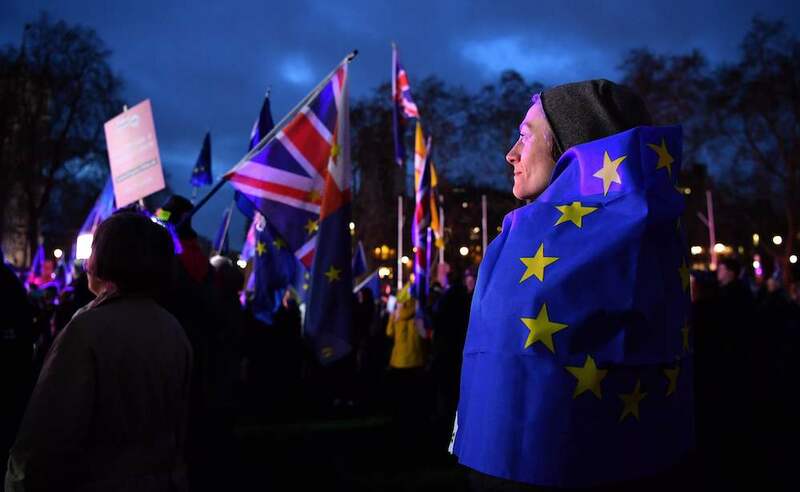 Things may not be as easy as the optimists expect: Some tweaks to the agreement that may work from a UK perspective may not be acceptable in Europe. One example is a time limit to the Irish backstop. While that may make the deal more palatable to many politicians in the UK, the Irish will dig their heels in. Open borders on the island of Ireland matter to Dublin both economically and politically. Whichever way one dissects the arguments, it is hard, if not impossible, to find a solution that would gain a majority in Westminster and, at the same time, be palatable to the EU. Many commentators argue that the recent twists in the Brexit saga make it more likely that the UK will end up in closer alignment with the EU than stipulated in the government’s Brexit package. Conversely, the opposite may be true. If the politicians in Westminster cannot agree on a position, the UK may leave without any agreement. As of Thursday, there were just 71 days left and counting. Time is running out.